We invite photographers to join gallery owner Michael Foley for a 75-minute portfolio review and career strategy advising session. Meetings will be a casual one on one discussion located at Foley Gallery on the lower east side of Manhattan, New York. Over the course of the meeting, we invite you to enjoy locally sourced beer or wine. Water and coffee will also be available. Michael Foley opened his eponymous gallery in the fall of 2004 after fourteen years of working with notable photography galleries including Fraenkel Gallery, Howard Greenberg Gallery and Yancey Richardson Gallery. The gallery has since been invited to participate in over twenty international and national art fairs including Paris Photo, Pulse, AIPAD and the London Art Fair. Gallery exhibitions and artists have been reviewed and written about in several publications including The New York Times, The New York Times Magazine, The New Yorker, Modern Painters and ArtNEWS. Foley is a co-founder of The Exhibition Lab, which is a study center for people involved in various aspects of fine art photography. The Exhibition Lab provides a vibrant modern-day salon for artists who are interested in engaging the world’s diverse and vital photography community through the gateway of New York City. Please complete this form below to schedule a Views and Brews session. 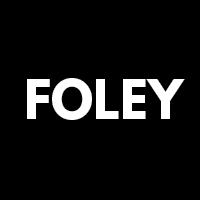 By Foley Gallery — I want to be excited about art again… Sometimes the works that are never seen, are the ones closest to the maker. These objects are vulnerable..
By Foley Gallery — Foley Gallery is pleased to present Radiant & Polarization, a solo exhibition featuring new photographs by Dusseldorf based artist Martin..
By Foley Gallery — The 4 artists selected by Juror, Elinor Carucci are Tom Butler, Jennifer Loeber, Sharon Draghi and Zhiyuan..
By Foley Gallery — Foley Gallery is pleased to present Witness to Beauty, a solo exhibition featuring photographs of Sage Sohier’s mother, Wendy..
By Foley Gallery — (image: Elinor Carruci "The Woman that I still am", 2012) Mirrors and Beauty go hand in hand. Originally an incantation in the Brothers Grimm..
By Foley Gallery — Foley Gallery is pleased to present Central Park New York - 24 Solar Terms , a solo exhibition featuring photographs by Jeff Chien-Hsing Liao. The..
By Foley Gallery — Foley Gallery is excited to announce the selections for our upcoming group exhibition “Analog v. Digital” . Artists working in all..
By Foley Gallery — 59 ORCHARD STREET NEW YORK NY 10002 212 244 9081 INFO@FOLEYGALLERY.COM WED - SAT 11 - 6, SUN 12:30 - 6 Foley Gallery is pleased..
By Foley Gallery — MAY 17 - JUNE 25, 2017 Foley Gallery is pleased to present “Subtext II: Meditations ” , a solo exhibition featuring works by..
By Foley Gallery — We invite photographers to join gallery owner Michael Foley for a 90 minute portfolio review and career strategy advising session. Meetings..
By Foley Gallery — Stranger Loops: May 3 - May 14th. Opening Reception Saturday, May 6th from 6-9pm Curated by Lisa Long Mason Gross School of the Arts is..
By Foley Gallery — Foley Gallery together with The Proposition are pleased to present Blood Orange , a solo exhibition of Balint Zsako's new works. The large..